Baidu reported second quarter earnings that beat analyst expectations. It's a good day to be China's largest search company. Baidu shares are poised to spike dramatically when markets open Thursday after the company reported a second quarter profit that topped analyst expectations. The response -- overnight, at least -- was dramatic, with New York-listed shares of the Chinese company surging as much as 17% in after-hours trading. 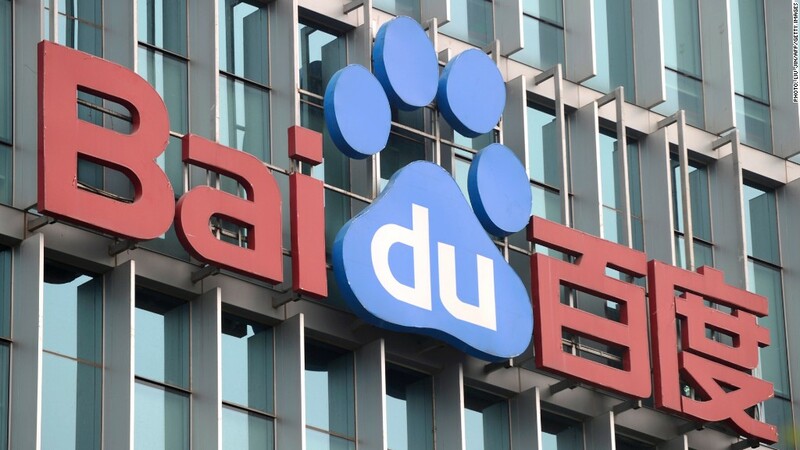 Baidu (BIDU) often draws comparisons to Google (GOOG), and the Beijing-based company has an absolute lock on internet users in the world's most populous country. The search company reported net profit of 2.6 billion yuan ($430.8 million) for the quarter ended June 30. While that is down 4.5% from the same period last year, it is better than analysts had anticipated. Baidu is trying to capitalize on the rapidly growing number of internet users in China who are ditching desktop consoles in favor of smartphones. Mobile revenues hit a record high, accounting for more than 10% of total quarterly revenue. The company also added 58,000 online customers. CEO Robin Li announced earlier this month a plan to purchase a store for smartphone apps for $1.9 billion. "Our recent investments have further strengthened Baidu's position in key strategic areas," Li said in a statement. Second-quarter sales topped 7.6 billion yuan ($1.23 billion), representing a 39% surge over 2012. Baidu, like many other Chinese tech firms, is pouring money into research and development. The company reported an increase in its expenses, with research and development costs soaring 73% in the second quarter. Next quarter's revenue is expected to continue the upward trend, and the company estimates third-quarter sales of 8.96 billion yuan ($1.46 billion), which would represent a 43% increase over the same period last year.